Pigma Micron markers, Pentel Pocket brush pen, Copic Sketch Markers, and Gelly Roll white gel pen on cardboard.. 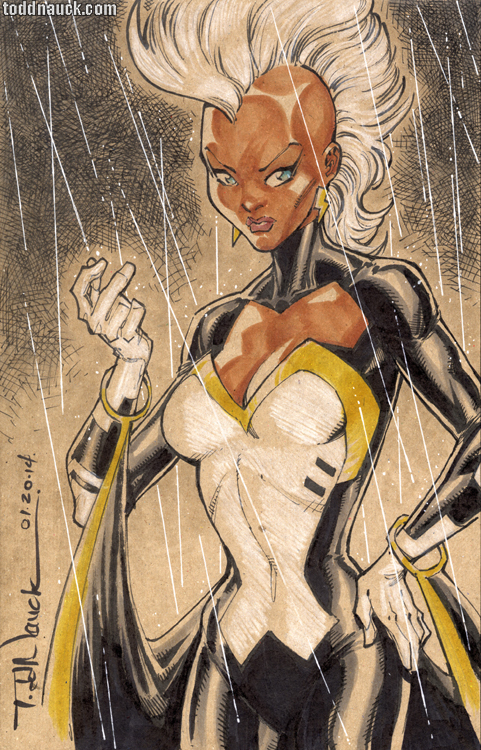 This entry was posted in Marvel and tagged storm, x-men by Todd Nauck. Bookmark the permalink.